Lab Supply is proud to provide a number of animal facilities and laboratories with a wide variety of high quality swine feeds from LabDiet. 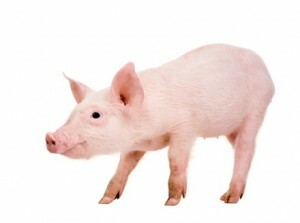 We now have Laboratory Mini-Pig Starter Diet 5080 in our inventory. This swine feed is a weaning product used in creep feeders. Mini-Pig Starter Diet contains 20% protein and is designed to meet the nutritional requirements of young mini-pigs. This swine feed is formulated using Constant Nutrition to ensure consistency and is made from the highest quality ingredients available. If you would like more information on this high-energy swine feed for mini-pigs, then please click here to view the product PDF and visit our contact page in the link below for details on ordering. Here at Lab Supply, we are committed to making sure you find exactly what you are looking for. If you are interested in this great swine feed, then please click here to visit our contact page. We will be more than happy to answer any questions you may have.